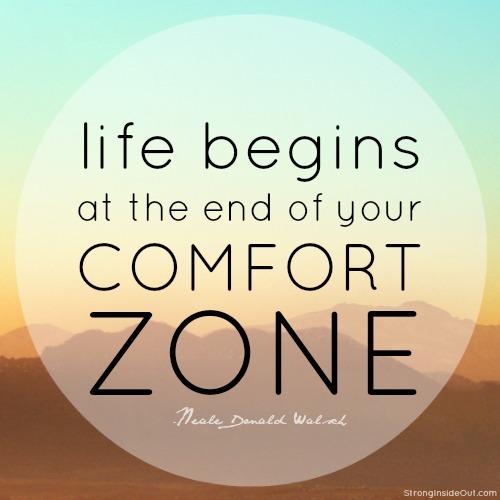 What is the “comfort zone”? The comfort zone is a place that is comfortable. It’s a place that you are familiar with and feel at ease when you’re there. Your home is a comfort zone (for most people), as it should be. 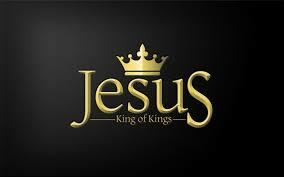 Your home should be a place of rest, refuge, a place where you are able to let your guard down and feel safe. In your home, you know where your things are (unless you have kids of course because they move everything), and at the end of a long work day it is the place you are glad to return to, kick off your shoes and relax. Most people after a period of time feel a certain level of comfort at their job. 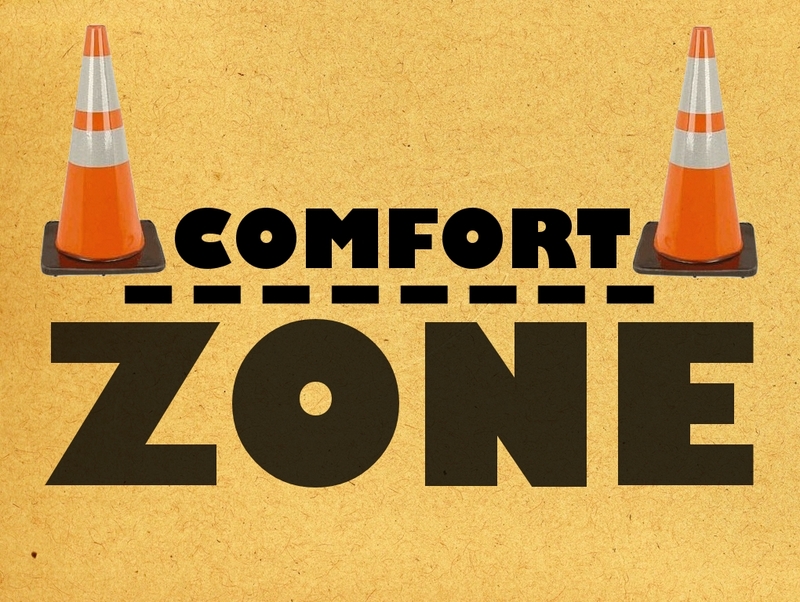 They get to know the routine, their co-workers, the daily workload, they learn to budget their salary, and after awhile enter into a place of comfort.The comfort zone is not always a bad thing. It is absolutely important that children feel safe with their families and in their homes. Most of the time, people aren’t even aware of their comfort zone until they’re taken out of it. There’s only two ways a person is taken out of their comfort zone, either by choice (which is actually only a very small percentage of people) or by force (which means circumstances in which the person had no control over). The comfort zone can become a dangerous place sometimes because comfort can lead to complacency, complacency makes you ineffective and nine times out of ten a person who is complacent is miserable, bored, and unfulfilled. When people feel unfulfilled, we have a bad habit of looking outwards to solve the problem instead of inwards, and that? Gets a whole lot of folks in trouble. A very wise woman once said to me, “God gave each one of us a gift capable of making money.” So if we all have a gift or something we enjoy and do really well, why are so many people stuck in jobs they hate? Why don’t people do that “thing” they always wanted to do? Believe it or not, most people are scared to death to try anything that forces them to come out of their comfort zone. 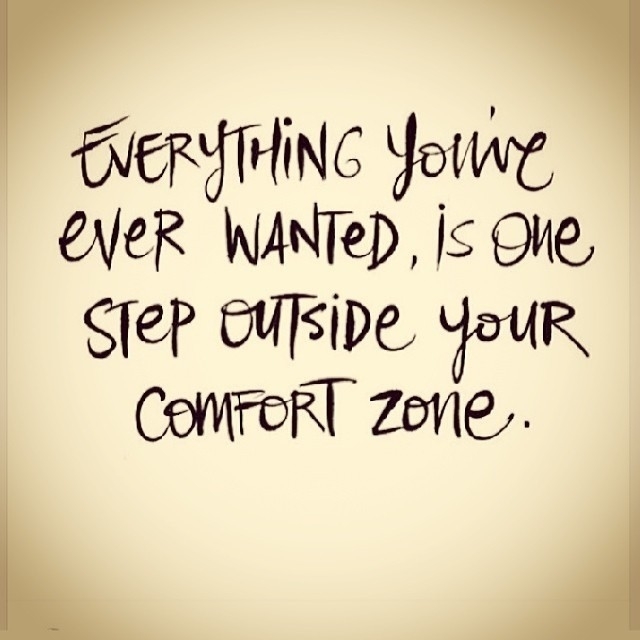 Every single one of my greatest accomplishments has come beyond my normal comfort zone. Just so we’re clear, I can tell you that in order for me to become a person comfortable trying new things I had to first be a person that had to have faith that every, single time the rug was pulled out from under me or life threw me a curve ball that I wasn’t prepared for that God was in control and He would make a way. Believe me, I’m not the picture of perfection when it comes to that either, I can be stubborn, rebellious, and just plain old not even remotely wanting to deal with certain things. I learned everything the hard way. 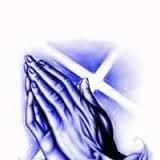 I did not magically wake up one day and even become a person that “has faith”, my faith was made. There was a point in my life where I was making other people a ton of money for their businesses, but all the ideas, practices, organization, and work behind the scenes was me. For a period of time I worked a full-time job and helped other people organize and set up businesses and in a few cases I was actually running multiple businesses at once (while I was holding down a full-time and part-time job) and not one of them was mine. I used every excuse in the book just like most people. I didn’t have enough money (the truth is you will never have “enough” money”), I didn’t have the time, etc. Excuses, excuses, excuses. I remember 2-weeks after I resigned from my job of ten-years to help a friend with a business full-time we ended up having a falling out. I don’t think I’ll ever forget the feeling of the impending doom that came with that as well as all of the mental hell I put myself through beating myself up for leaving my job in the first place. It wasn’t until the rug was pulled out from under me (in more ways then one) that I really learned what I was made of. Think about it…. Think back over situations that have happened in your own life. Where did you find your strength? What things caused you to grow or advance? Stepping out of your comfort zone doesn’t mean be stupid either. It doesn’t mean quit your job, pitch a tent on the green with a lemonade stand. 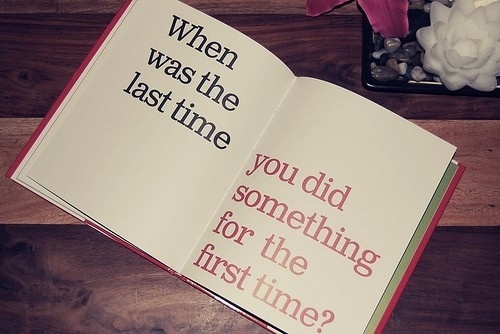 If you want something out of your life that you’ve never had, you have got to do something you’ve never done. How will you know if you don’t try? Are you comfortable with the thought that you will one day (God willing) grow old and reflect on all of the things you could have, should have, or wanted to try? If you continue to do the same things over and over again, don’t expect different results. This isn’t just about stepping out of your comfort zone in business, this is about stepping out of your comfort zone in your faith, in love, in life, in everything. Is it always going to work out the way you pictured it? Probably not just to keep it all real. It may very well end up like none of your plans, but in the long run it may very well be the best thing that ever happened to you too. Life can cause us to be hesitant when it comes to certain things, especially when we’ve had situations or experiences that have shaped our reality. Reality is a subjective term, meaning it’s personal to us. Our reality is not like anyone else’s. Our personal “reality” is shaped and molded by our life experiences. That’s not necessarily a bad thing until we begin to allow it to rob us of our life. Angers, hurts, pains, frustrations and disappointments have the ability to mold us into a bitter, negative, shameful, unfulfilled life if we allow it to. 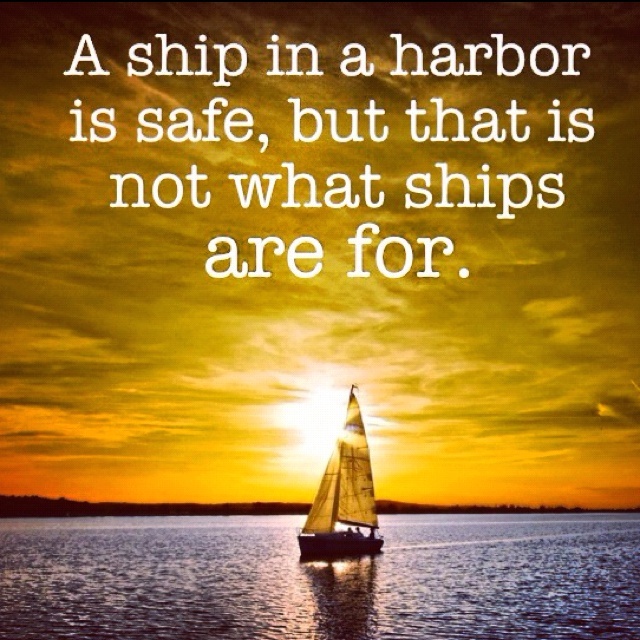 LIFE is right on the outside of your comfort zone.